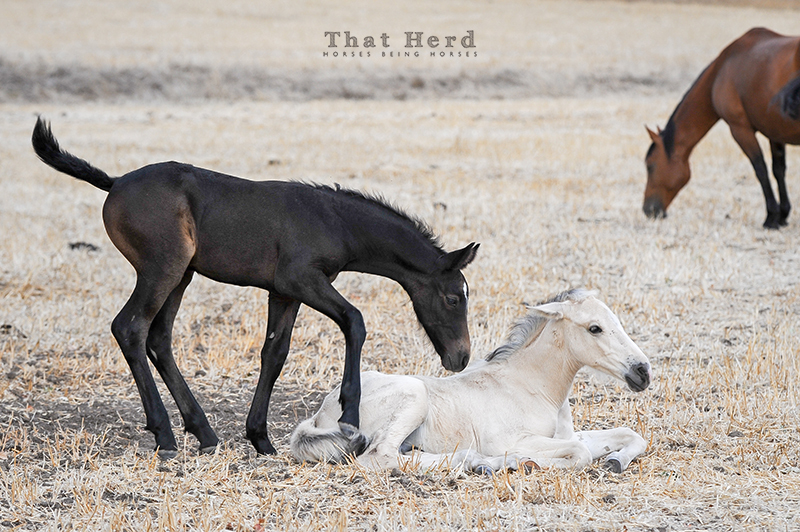 Prompted by an energetic herd mate, a resting colt has a decision to make. Stay down, and be pestered, stepped on and mouthed, or get up and give the perpetrator a run for his money. The dark colt is fast but the light colt is big and strong. They are both the same age, by the way, only a few days apart. This may not be obvious because of the size difference. Colts that are resting need to warm up to the ideas of a frisky herd mate.